"I think for instance in Egypt we should make it very clear to maintain a relationship, a friendship, an alliance and financial support with the United States, Egypt needs to understand it must honor its peace treaty with Israel, he said. "It must also protect the rights of the minorities in their nation. And finally among other things it must also protect the embassies of our nation and other nations," he said. Egyptians angry at a film they said was blasphemous to Islam clashed on Friday in Cairo for a third day with police who blocked the way to the U.S. Embassy, where demonstrators climbed the walls and tore down the American flag earlier this week. Four Americans, including the U.S. ambassador, were killed in Libya in related violence. "The American people are disturbed and reeling with the news around the world," Romney told the fund-raising event, which brought in $4 million for his campaign, for a two-day regional haul of $7.5 million. A number of polls this week showed Obama building a lead over Romney after the Democratic National Convention last week but the Republicans' advisers insist the race is close and the former Massachusetts governor remains in solid shape with less than two months to go until the Nov. 6 election. Romney, an advocate for a strong relationship with Israel, criticized Obama for deciding not to meet with Israeli Prime Minister Benjamin Netanyahu when the two leaders are in New York later this month for the annual U.N. General Assembly. Obama spoke with Netanyahu for an hour this week amid a rift between them on how aggressively to handle Iran's nuclear ambitions. Netanyahu has repeatedly threatened a military response despite U.S. entreaties to give sanctions time to work. "I thought the president's decision not to meet with Prime Minister Bibi Netanyahu was an extraordinarily confusing and troubling decision. 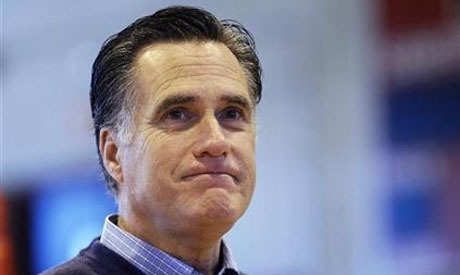 This is our closest ally and best friend in the Middle East," said Romney. The presidential race thus far has been dominated by questions over how to rekindle strong growth in the U.S. economy, a challenge that plays to Romney's strengths as a former business executive. He lacks a great deal of foreign policy experience and his trip to London, Jerusalem and Poland in July was widely criticized for a number of gaffes.